Watch their promo video to see how far Google is attempting to infiltrate every area of your life. They stress the convenience, the novelty, and the ability to free your mind in order to focus on other things. But look further. What they’re really selling is control and loss of privacy. This is an extensive article that covers almost every aspect of Google’s newest attempt to virtually take over your life. As usual, it’s presented in an upbeat manner, describing all of the wonders of this new technology and focusing on how it will change your life for the better. This is a huge step towards the 666 Surveillance System. You’d be forgiven for not registering the full impact of Nearby from that snippet. The key takeaway from this is that Nearby will allow enabled devices, with extreme precision, to know when they are near each other, and interact according to the context. Remember when Google bought Bump? 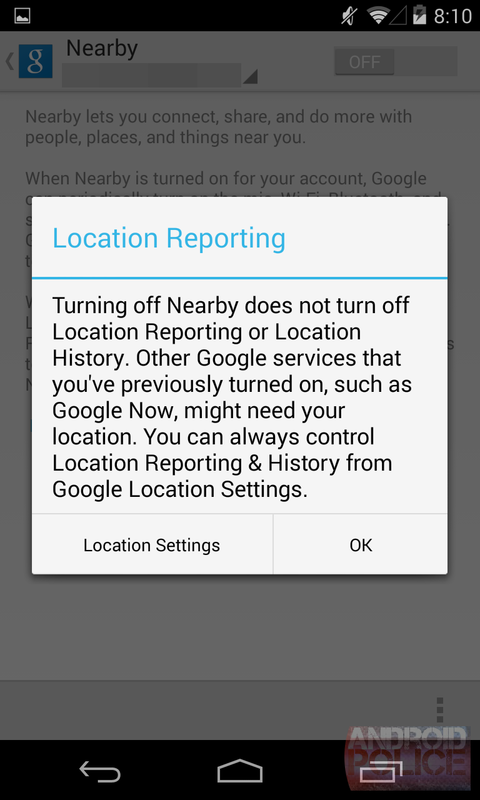 The service used the bumping motion as well as location data to know when two devices wanted to interact. 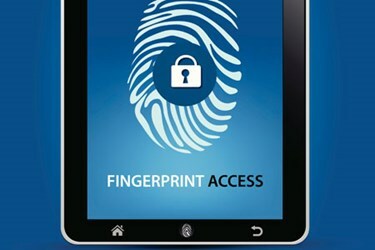 Google also acquired SlickLogin in February, which can use audio, Bluetooth, and WiFi to authenticate. Nearby would wrap up all these techniques without you even touching your device. To protect privacy, the information gathered from these various sources on your device would likely travel to Google, and be matched with others’ information there, with only the acknowledgement of proximity being revealed to other devices. Users, according to our information, will also be able to choose who (and presumably what) they are visible to. 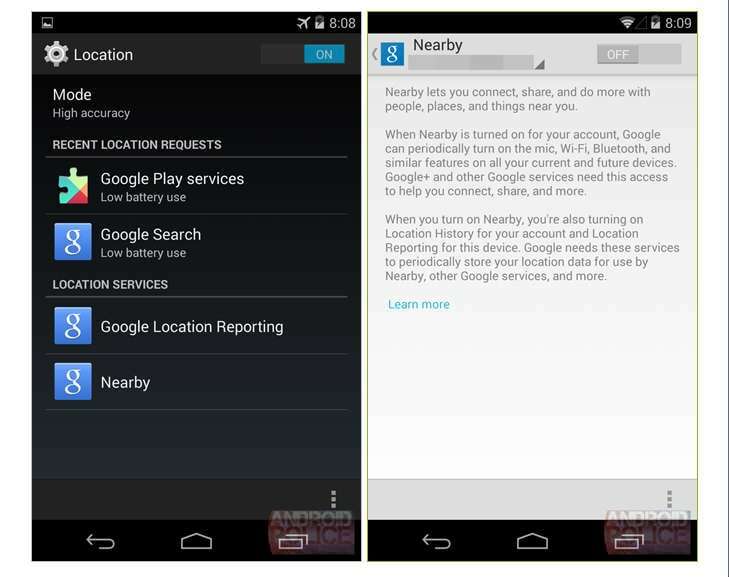 This will limit the ways that Nearby can automatically interact on a user’s behalf. There also are rumors of a service where Google will be able to tell you where you parked your car. 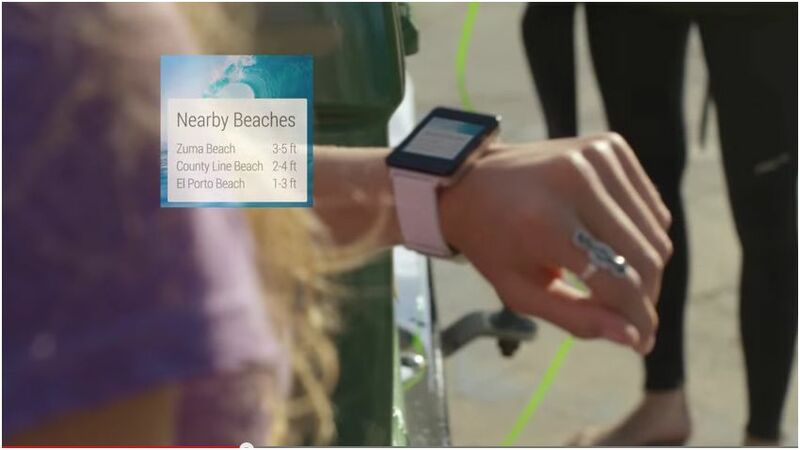 Nearby and other Google services soon will be involved with and directing every minute detail of your life. When we look at prophetic passages that refer to the Beast system and how totally it will control the lives of everyone caught in it, these promised innovations don’t inspire delight and confidence; they are cause for concern which should turn us to Christ. Rumor: Google Now Will Soon Detect And Remind You Where You Parked In the very near future think of Google merging with the government, and it is all “one big happy” loving institution really interested in us! This will be a Fascist organization that will crush anyone who dares resist it. 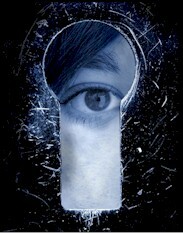 It will be the 666 Surveillance System. The rumor is fairly simple – Google Now will allegedly detect when you get out of your car, and attempt to remember that location for later, serving you a card with Google’s best guess as to where you left your vehicle – including a location and what time you parked. Presumably, users will be able to hit the map on the card and navigate back to their car, though there’s a button below the map that would seem to offer the chance to correct Google. Exactly how Google will choose to implement this isn’t clear, but it is likely to involve activity features already built into Android. 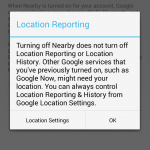 There are actually already apps (like Auto Finder or Valet) that use the activity recognition API and Android’s fused location provider to automatically remember where you parked while running in the background. Regardless of how it works behind the scenes, it’s always nice to see a peek at what might be coming up to make Google Now even more powerful. Brainwaves can predict audience reaction of television programming This shows the technological leap into monitoring our brain waves and thus thinking! “By analyzing the brainwaves of 16 individuals as they watched mainstream television content, researchers were able to accurately predict the preferences of large TV audiences, up to 90 percent in the case of Super Bowl commercials. Using functional magnetic resonance imaging (fMRI), they found evidence that brainwaves for engaging ads could be driven by activity in visual, auditory and attention brain areas. Will you be on the government’s new expanded watchlist? Obama quietly expands government’s ‘watchlist’: You don’t have to be terror suspect to be chosen The in very near future, whoever does not submit to the government is the enemy! Think of all the surveillance power that will be brought to bare against people on this list! “Obama has expanded the terrorist watchlist system, “authorizing a secret process that requires neither ‘concrete facts’ nor ‘irrefutable evidence’ to designate an American or foreigner as a terrorist,” according to a key government document obtained by the Intercept. Instead of actual evidence, all the government needs is the nebulous “reasonable suspicion,” which is considered one of the lowest standards of proof in the American legal system. It’s less than “probable cause,” which is required to make an arrest. Under the new rules, people can be designated as terrorist organization representatives without any actual proof, but on mere suspicion. And a White House official can designate entire categories of people. Once someone is on such a list and it is shared with law enforcement, people tend to be treated as though they’re guilty, regardless of the facts. Air Force research: How to use social media to control people like drones While Facebook’s attempts to use those who have signed up for social media for research purposes have caused an outcry when they were disclosed, the Air Force, in conjunction with DARPA, has been conducting similar research. However, theirs has been more under the radar, and in fact, when the scandal about Facebook broke, the Air Force was quick to criticize them for what had occurred. Yet they have been doing similar work, investing millions of dollars into studies of “social media, social networks, and how information spreads across them.” Their target was influential members and how info or messages from them spreads. Can you see the 666 Surveillance System being put together? Huge chucks of it and now in place. The research demonstrates that the mathematical principles used to control groups of autonomous robots can be applied to social networks in order to control human behavior. If properly calibrated, the mathematical models developed by Dixon and his fellow researchers could be used to sway the opinion of social networks toward a desired set of behaviors…. Along the way, the research has shifted more toward “hearts and minds” goals than “search and destroy” ones. DARPA launched its SMISC program in 2011 to examine ways social networks could be used for propaganda and what broadly falls under the euphemistic title of Military Information Support Operations (MISO), formerly known as psychological operations. Russia Exposes U.S. Secretly Forced Brain-Chip Mind Control Weapon This is an important article because it reveals that the future we have been warning about, where government controls the minds of everyone in the country, has actually begun. This is even more sinister because it has been tested on thousands without their consent. There also is a video on the topic. The program is being described as “MK Ultra on steroids” and it focuses on TIs or Targeted Individuals, the latest term for a distinct class of persons already numbering in the hundreds of thousands, who have been singled out for “special” treatment by the government. These people are just a prototype for what is coming under the complete control of the 666 Surveillance System! “[T]his is the “biggest human rights abuses of our times:” connecting people against their will and knowledge to computers via implants of the size of a few nanometers – leading to complete destruction of not only the victims’ lives and health, but also their personalities and identities. This secret technology, that began developing in the early 1950s is now extremely advanced. The public is unaware of it – and/or in denial – and it goes completely unregulated, despite thousands of victims reporting it to news outlets and government officials, including the United Nations. These experiments have since the 50s been brutal, destroying every aspect of a person’s life, while hiding behind curtains of National Security and secrecy but also behind psychiatry diagnosis. Secretly Microwave-Assaulted Targeted Individuals: Secret Cell Tower Electromagnetic Assault Weapon Victim Wins Landmark Court Case This is a story that you probably won’t find elsewhere, although it is so significant it should be on the front page of every paper in the nation. There have been rumors of this type of harassment, torture even, by our government against those citizens it considers political enemies. This “extrajudicial punishment” through gang stalking, financial sabotage, mind control and torment from microwave or frequency weapons often has been dismissed as the ravings of conspiracy theorists. There has been only one question ever asked of the White House about these activities and Donald Rumsfeld, at that time Secretary of Defense, basically admitted at a Pentagon briefing that we did indeed have such weapons and they had been utilized during time of war. His answer basically confirmed what had been mere rumors. But since then there has not been a single question asked or a single story written in the mainstream media. It is if there is a tacit agreement to avoid the subject and let the public believe that only crackpots would even ask such a question. This recent court case demonstrates the fallacy of that belief. And the silence about it reinforces suspicion of a media in collusion with the powers that be over covert action taken against its own citizens, by a government transforming itself into the the 666 Surveillance System. 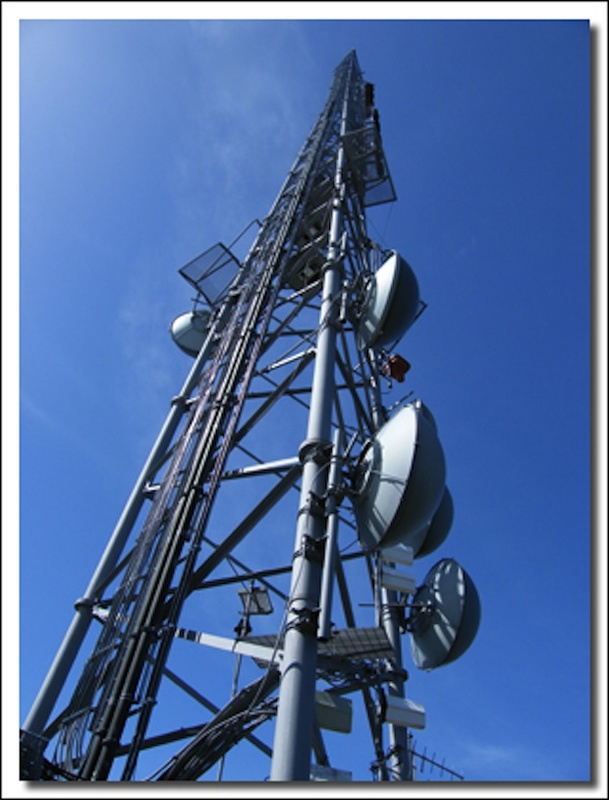 After a landmark court case [Watterson vs. Aro], a California Targeted Individual victim of a secret cell tower radio frequency directed energy weapon, won her case in court against her perpetrator, she has been inundated with other targets pleading for help. The win has stirred the strong emotions and hope of hundreds of innocent targeted individuals, all claiming they are being attacked by secret microwave weapons used for mind control and to torture them. Kathleen Watterson, a Targeted Individual (TI) and Levi McCann, the expert witness in her case, both in California, are now conducting triage, as hundreds of desperate innocent victims contact Watterson for help. McCann demonstrated that standard satellite dishes within a 5-mile radius of Watterson’s home all pointed toward the equator where most satellites orbit the earth. That is, all but one, the defendant’s satellite dishes – that were pointed at Watterson’s house. 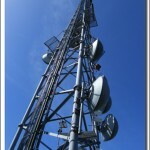 McCann revealed that other neighborhood satellite dishes were geared toward receiving signals for TV, the Internet, etc. – except for Watterson’s satellite dishes that, according to meter readings from an RF spectrum analyzer and a tri-field meter, were transmitting microwave signals at her house. The U.S. government has never publicly acknowledged existence of this domestic offensive weapon grid, that “hides in plain sight” on cell towers in every neighborhood and along every highway in America, veteran journalist Vic Livingston has said. 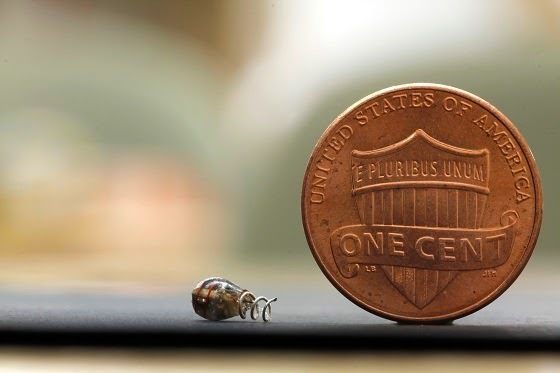 Wireless Microchip Implant Set For Human Trials Reasons of health and security, along with convenience, are the rationales always given for pushing new technological advances. Once again they’re being utilized, this time for the introduction of a wireless microchip implant. The promise is for greater ease in monitoring physical readings and for delivering exact doses of medication at the right time. It will be an incremental process, one already well under way. Although version 2.0 is a grand project, ultimately resulting in the radical upgrading of all our physical and mental systems, we will implement it one benign step at a time…. The wireless microchip is one of those “benign” steps. To those who have not looked into the issue of microchipped humans, this might sound all well and good within the realm of medicine. However, if we have learned one thing about sci-tech, it always has a tendency to spread – especially in an age of ubiquitous surveillance amid “security threats” of every stripe. In typical fashion, the push is already beginning for implanted microchips that can’t be lost, forgotten or stolen like cards can. And this new generation of chip will be powered by processes already at work inside the body, so there will be no need for batteries like internal devices now require. But they aren’t addressing the health risks that can come with implanted microchips from radiation and other things. Of course, the greatest risk comes to those who willingly accept the mark which a Beast system will require of all who live under it, whether that be in the form of chip or tattoo. It will pose a risk to more than physical health. Their very soul will be at stake, should they accept it as just another tech advance. By agreeing to that, they will voluntarily hand over God’s greatest gift, their free will. 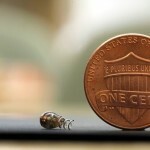 This implantable microchip is only a foretaste of what’s to come. Approximately 2.2 million vets and active military personnel have requested help for a mental health disorder at one time or another. The research is currently in the testing phase, using animals. It is part of an array of DARPA projects all aimed at restoring, replacing or altering brain function and memory. Using new technology will allow scientists, “to interface with the brain using hundreds, if not thousands, of electrodes.” They note that if these devices eventually were implanted in the brain they could discern how well therapies were working by recording the neural activity they will measure and record. While such technology can have useful, even laudable purposes for soldier who have suffered from injuries to the brain, the possible uses by a Beast government on the population at large are easy to imagine. In conjunction with DARPA, a driving force behind the research is Obama’s Brain Initiative, which we have discussed in previous posts, most recently with an article titled, “200+ UK Neuroscientists Reject Obama’s Human Brain Project” under, Predictive Technology: A New Tool For The Thought Police. 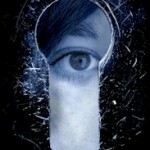 Are We Ready For Government Biometrics? It appears that the younger are all ready for it. “A new survey shows most people are willing to share biometric information with government agencies if it would in some way improve their travel experience. A biometric future: Fingerprint recognition, voice prints and retina scans – just some of the new biometric technologies that are available to security managers – but what are they good for and how can they best be used? This raises an interesting issue. While those of us past a certain age have deep concerns over this technology because for decades we’ve heard warnings about the mark of the beast that is coming, these schoolchildren in Scotland are being raised to think of these technologies as familiar and safe. They never will have our perspective to warn them off, especially when the Bible is all but anathema in any public area. How will they possibly know that they’re being conditioned for destruction? They are now conditioned to accept the Mark of the Beast. As well as improving security, biometric systems are sold on the basis that once installed they save money… In the first year, the costs of implementation are usually equivalent to the annual cost of administering a password-based system, say analysts; payback is generally achieved after around 18 months. But how can biometric systems best be used? At present, some of the most popular solutions on the market… are particularly suited to certain applications. For example, voice recognition biometrics have great potential in call centre environments where a caller needs to authenticate themselves in order to change their password. Palm-vein scanners are being used by schools in Scotland, eliminating the need for children to hand over cash for school lunches…. As these technologies are moved into the mainstream, they become less the stuff of Bond films and science fiction, and more like the access keys of tomorrow. God has warned in the Bible where this world system is heading. The 666 Surveillance System is now on the fast track. There is no stopping it. Are you going to be with Jesus Christ and eternal life, or are you going to take the “666 Mark” and be eternally damned? The stakes could not be higher: eternal life or eternal damnation. Now is the time to repent of sin and trust Jesus Christ as your Savior. Make sure that you use The 666 Surveillance System brochure as it is a great witnessing tool. I also offer the Prophecy Packet which includes that 666 brochure. If you would like a copy, please email Dave at: daystarwindows@optonline.net and ask for the packet along with giving your name and mailing address. Now is the time to use prophetic information to share the gospel.